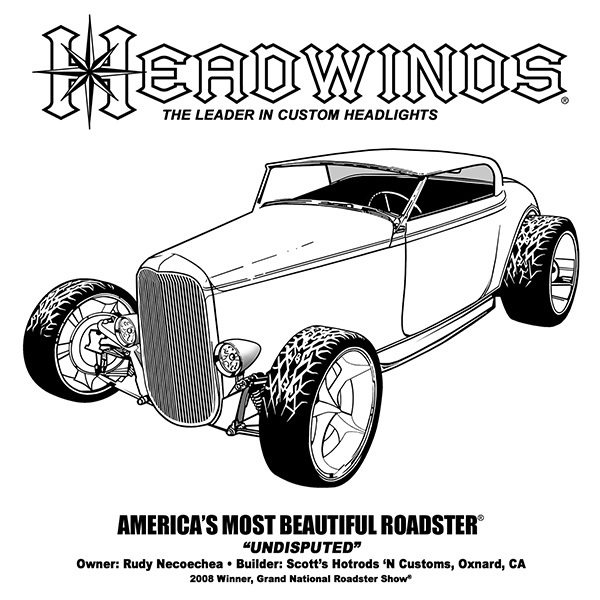 This is the 2008 America's Most Beautiful Roadster on this shirt. This gorgeous street rod is equipped with a pair of 1-5800 Concours Rockets. We print on 6.1 oz., Pre-Shrunk, 100% Cotton* Gildan T-Shirts. SIZE & COLOR AVAILABILITY SUBJECT TO CHANGE.